I am thrilled to be co-presenting with my Executive Director, Dr. Holly Daniels, for the first time at the 10th Annual West Coast Symposium on Addictive Disorders on Friday, May 31, 2019: 8:30AM – 10:00AM. It is an honor to be sharing this keynote presentation with Dr. Daniels as we both possess the same passion for treating substance use disorders as the chronic conditions that they are. Our presentation highlights the necessity of integrating mindfulness and trauma-informed modalities with the implementation of long-term treatment and lifestyle support as outlined in the Surgeon General’s (2016) report in order to treat substance use disorders with integrity. Please check out our presentation below—we hope to see you there! Treatment for substance use disorders and other addictive behaviors continues to evolve. Mindfulness practices are now widely used in all types of treatment settings, and accreditation and government agencies now mandate that treatment include trauma- informed modalities. Although these changes have been positive and have helped many, long-term recovery rates are still low, especially 2 to 3 years out of treatment. This session will outline the importance of integrating trauma-focused protocols with long- term lifestyle support to help clients capitalize on gains and avoid self-sabotage. The 30th Santa Fe Conference - Integrating Spirituality, Mindfulness and Compassion in Mental Health and Addiction, in Santa Fe, New Mexico, provides a pathway for exploring how to interweave spirituality, mindfulness, and compassion into mental health and substance use disorder treatment. Santa Fe is a powerful place that generates spiritual inspiration. I look forward to sharing this spiritual experience with you as I present two workshops on EMDR Therapy and Mindfulness: Redefining the Paradigm for Trauma-Focused Care and Buddhist Psychology, Trauma-Focused Care, and Addiction Treatment. Check out my presentations below – and hope to see you there! This presentation combines the wisdom of Buddha, Pierre Janet, modern mindfulness teachers and Dr. Francine Shapiro, providing a new way of envisioning trauma-focused care. 2600 years ago the historical Buddha proposed and transmitted a complete psychology over his 45 years of teaching. Pierre Janet’s 3 Stage Model of Trauma Treatment provides the bridge from Buddhist psychology to proactive treatment of trauma and addiction today. Now integrated as the MET(T)A Protocol (Mindfulness and EMDR Treatment Template for Addictions), this holistic approach to treatment is now beginning to be used as a comprehensive treatment system at several addiction treatment centers, mental health agencies and in private practices as well. It is with gratitude and honor that I have been accepted to present at the 2019 EMDRIA Conference. My submission, It's Always EMDR Therapy: The Case for EMDR as a Complete Psychotherapy, has been selected for presentation. Additionally, I am thrilled that the 2019 EMDRIA Conference will be held in Orange County, CA, this September. I am very much looking forward to making the case for EMDR therapy to be implemented as a complete system of healing. I hope to see all of you there. I really value the US Journal Training Conferences across the country and around the world for their integrity and commitment to helping people recover. It is a great privilege to be sharing a keynote and two additional presentations at the upcoming USJT 12th National Counseling Advances Conference in Las Vegas this March 20 – 22. We generally equate anger with destruction, fear and chaos, but anger is often a life-saving emotion that stems from trauma and adverse life experiences. With the use of mindfulness strategies, anger can be seen as a powerful teacher and guide that can lead us to productive, life-affirming insights and healthier relationships. In this session we will discuss the pros and cons of anger. We will dissect the ways in which anger leads to both ‘acting out’ and ‘acting in’ impulses and behaviors. And we will explore the transformation of anger into compassion, equanimity and loving kindness. 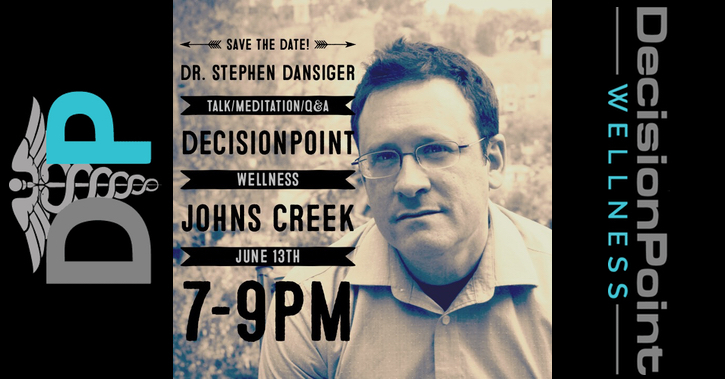 Dr. Dansiger is the author of Mindfulness for Anger Management: Transformative Skills for Overcoming Anger and Managing Powerful Emotions. 2600 years ago the historical Buddha proposed and transmitted a complete psychology over his 45 years of teaching. Pierre Janet’s 3 Stage Model of Trauma Treatment provides the bridge from Buddhist psychology to proactive treatment of trauma and addiction today. Now integrated as the MET(T)A Protocol (Mindfulness and EMDR Treatment Template for Agencies), this holistic approach to treatment is now beginning to be used as a comprehensive treatment system at several addiction treatment centers, mental health agencies and in private practices as well. I am excited to be speaking at the 11th Annual Mississippi Addiction Conference in Jackson, MS on March 8th, 2019. This event is sponsored by the Professionals Health Network (PHN), a non-profit organization dedicated to helping Mississippi licensed professionals recover from substance use disorders. I’ll be sharing my presentation, Mindfulness, the 12-Steps and Trauma Focused Care. Really looking forward to meeting like-minded helpers and healers in Mississippi! You can find out more about the conference, and PHN by clicking HERE. I was thrilled and honored to co-facilitate a discussion on systemic and historical trauma with JoAnna Hardy, the codirector of the Meditation Coalition, back in December. This Sunday, March 3rd, we are reuniting again for part two of this discussion in the same spirit and energy of delivering mindfulness and compassion to promote resilience, resourcing, and healing from intergenerational trauma, the trauma of marginalization, the multi millennial trauma of white supremacy and patriarchy, and other systemic and entrenched historical traumas. Trauma-focused mindfulness signifies impactful and purposeful action in the delivery of healing, and this begins with awareness and acceptance manifested during discussions like the one JoAnna and I will be offering. If you are interested in fostering change, have a desire to work on healing from systemic and historical trauma, or simply want to engage in the mindfulness of this meditation group, please join the POC / Allies Group, Sunday March 3rd from 11am-12:30pm, located at Crenshaw Yoga and Dance-5426 Crenshaw Blvd, Los Angeles, with JoAnna Hardy and myself. LOCATION: Hilton Pasadena - 168 South Los Robles Ave., Pasadena, CA 91101. The Evolution of Addiction Treatment Conference in Los Angeles brings the most forward-thinking and effective therapeutic approaches to treatment professionals. Innovative and cutting-edge keynotes and a forum that encourages professional dialogue and creative treatment approaches sets this conference apart. Moving from Trauma Informed to Trauma Focused Care: A Mindfulness Based Multi-Modal Approach: Addictions treatment has come a long way over the centuries, particularly since the advent of Alcoholics Anonymous of 80 years ago. For the past 2,600 years, Buddhist Mindfulness and the therapies and practices it has brought about have contributed to psychological and spiritual relief to millions of people. Over the last 25 years, our understanding and the treatment of trauma related disorders and difficulties have progressed, with Francine Shapiro’s development in EMDR therapy. The understanding of the link between traumatic experiences and the difficulties and suffering of alcoholics and addicts have grown. SAMSHA and other clinical bodies have indicated the need for additions treatment to follow the principles of trauma-informed care. This presentation will make clear the theory and research behind the development and implementation of both mindfulness and EMDR Therapy through case studies and anecdotal evidence of how this model is progressing, with recommendations for further research and practice. CEs available (more info here). I’m also excited to be signing copies of my newest book Mindfulness for Anger Management: Transformative Skills for Overcoming Anger and Managing Powerful Emotions in the bookstore after my talk at 2PM. Being together in tough times is crucial. We can skillfully engage with the tough stuff so that we can bring it to the light and work towards healing. Please join the POC/Ally group, Sunday December 2nd from 11-12:30, with JoAnna Hardy and Dr. Stephen Dansiger. Trauma informed mindfulness means having insight into intergenerational trauma, the trauma of marginalization, the multi millennial trauma of white supremacy and patriarchy, and other systemic and entrenched historical traumas. Join us to gain insight and to explore mindfulness practices that promote resilience, resourcing and trauma healing. I am quite excited and grateful to be presenting two times at the 2018 EMDRIA Conference in Atlanta on October 4th through 7th, 2018. In addition to presenting about the Mindful EMDR Therapist with my colleague and coauthor Jamie Marich, I also have the opportunity to present on Buddhist Psychology, EMDR Therapy and Addictions. This presentation on the MET(T)A Protocol updates my presentation from 2016 EMDRIA International Conference in Minneapolis, and further highlights how this type of integration may help in creating systemic change in the delivery of services. In 2016, I had only really begun putting MET(T)A into action at Refuge Recovery Centers. The fact that the presentation resonated with so many at that time helped me to continue with the work. It was also at that conference that Springer Publishing signed Jamie and I to our contract to write EMDR Therapy and Mindfulness for Trauma Focused Care. At the 2018 EMDRIA Conference, Jamie and myself, the Institute for Creative Mindfulness, and StartAgain will all be well represented and our message of the power of the Standard Protocol delivered with mindfulness in the service of powerful trauma-focused care can take its next steps toward the easing of suffering for many beings. Tonight I will have my last opportunity to give a talk and lead meditation at Against the Stream before the doors shut. There are strong emotions internal and external. I want to share my experience with these kind of endings, and be supportive to the greater sangha as we all move through this transition. I will also speak about the need for Dharma spaces to become more trauma informed, and how I hope to help in that regard. The goal: Trauma informed dharma spaces, Dharma informed trauma therapy spaces, all of it connected and working together to provide an end to suffering. I am going to co-facilitate two nights of meditation, dharma talks and discussion at DharmaPunxNetherlands with Against The Stream facilitator Bay Hagebeek. I love having this first opportunity to teach in the Netherlands, and the opportunity to team teach, something I did so often for so long in my career as an educator. In the Upaddha Sutta, Ananda said to the Buddha: “This is half of the holy life, lord: admirable friendship, admirable companionship, admirable camaraderie.” The Buddha’s response goes a bit further: “Don’t say that, Ananda. Don’t say that. Admirable friendship, admirable companionship, admirable camaraderie is actually the whole of the holy life. When a monk has admirable people as friends, companions, and comrades, he can be expected to develop and pursue the noble eightfold path.” This teaching on good friendship suggests that sangha can bring on the factors of enlightenment, including the Brahmaviharas: Lovingkindness, Compassion, Appreciative Joy and Equanimity. These are often described as the result of dedicated practice, but can also be cultivated directly through practices specific to these four qualities. These talks, discussions, meditation and Q and A will guide participants to develop these four heart practices not as a spiritual bypass, but rather as a path to the transformation of suffering. How do the core teachings of the Buddha, the 4 Noble Truths and the 8 Fold Path apply to issues of Inclusion, identity, diversity, and gender? How can we apply other teachings such as the 3 Refuges and the 3 characteristics to these issues? Modern mindfulness teachers as well as modern trauma theory also outline the critical need for the understanding of the impact of institutionalized trauma on individuals and groups of people. Building on the first night's teaching, cultivation of positive states and resources can be a key to success in bringing traumatic stress to an adaptive resolution.These talks, discussions, meditation and Q and A will help participants to explore how the 8 Fold Path and our insight and metta practices relate to and apply to our modern difficulties. On Friday July 27, Mark Brayne and EMDR Focus have invited me to present a day long workshop on the MET(T)A Protocol in London. 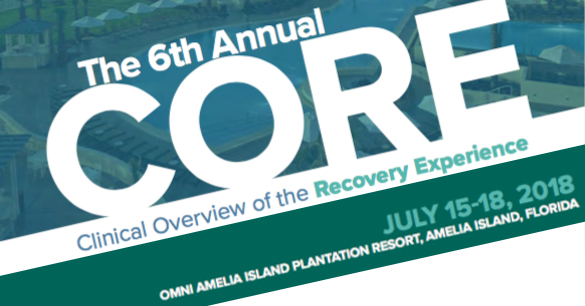 Last year Jamie presented EMDR Therapy and Mindfulness, and this year I am coming in to focus more specifically on the elements of Buddhist psychology in EMDR therapy, and the application of mindfulness, the 8 Phase Protocol and the AIP model as a systemic template for addiction treatment. I will also be sharing the implications for other treatment settings including general mental health and private practice. This is the first of I hope many opportunities in Europe and throughout the world to share this information. Click through for more information / to register. This six month class series is accessible way to begin reading the suttas while building and being supported by a community. We will use The Buddha’s Teachings on Social and Communal Harmony edited by Bhikkhu Bodhi as a primary text and will supplement the exploration of the suttas with talks, articles and personal exploration. This will allow us to deepen our understanding of the Buddha’s teachings and see how we can apply them directly to our 21st Century life. This class is intended for any level of practitioner who is interested in applying the early teachings of the Buddha to modern life. Price: $250 10% discount ($225) if paid in advance. I will give a talk on June 13th in Atlanta on "Kindness and the Transformation of the Suffering of Addiction" The ancient and modern teachings of the historical Buddha and those who have followed over the millennia have outlined many aspects of the addiction experience, including the core teaching that our suffering is created by craving, clinging, and aversion. Also outlined are some of the elements of the recovery experience: Lovingkindness, Compassion, Appreciative Joy and Equanimity. These qualities are often described as the result of years of dedicated recovery practice, but can also be cultivated directly right now through practices specific to these four qualities. Modern trauma theory and practice also outlines the critical need for the cultivation of positive states and resources as the key to success in bringing traumatic stress to an adaptive resolution and allowing for long term recovery from addiction. This talk, meditation and Q&A will guide participants to develop these four heart practices not as a spiritual bypass, but rather as a path to the transformation of trauma, toward the cessation of suffering of addiction. Anna David, Ryan Hampton and Garrett Hade present… An “Enhance Your Recovery” retreat for an intimate group of change makers from all over the country. Experience treatments that will relax and enliven you, participate in workshops that will inspire you creatively and connect in person with all your virtual friends during this weekend of workshops, live events, networking and bonding in Hollywood, California. Back in the day I spent a good deal of time on Anna David's podcast... and we have been friends for much of my time I have been in LA. It has been a trip watching her grow her influence in leaps and bounds over the years. I am so happy to have been invited by her and her colleagues at Light Hustler Ryan Hampton and Garrett Hade to deliver the opening meditation and talk for all those participating.